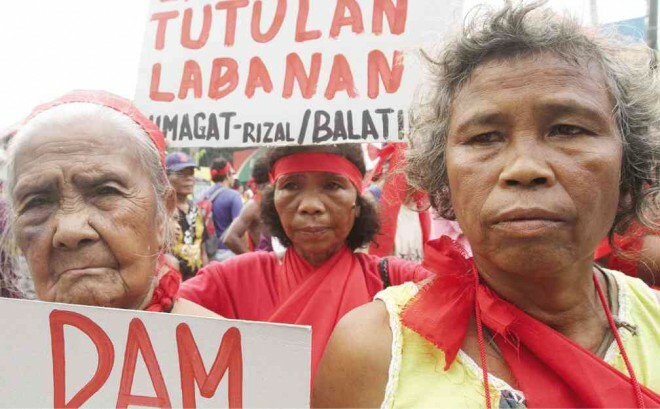 Plans to construct a dam in Tanay municipality have been proposed since the late 1970s, during which the first feasibility studies were conducted, partly supported by the World Bank. The project, then termed Manila Water Supply III Project, became soon after known as Laiban dam, due to its location in Barangay (village) Laiban. It was to be designed and implemented under the responsibility of the Metropolitan Waterworks and Sewerage System (MWSS) . However, the project became soon controversial due to its impacts on the Sierra Madre primary forest ecosystems and indigenous communities, who opposed the project since the beginning. 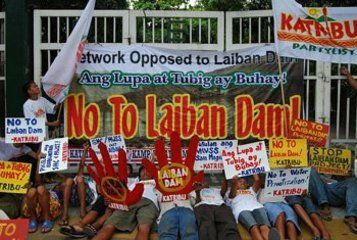 In the years to come, the Laiban dam was several times approved, deferred, canceled and reapproved (for a detailed chronological overview see ). The project however resurrected, when it was resubmitted together with the Kaliwa dam (see below related conflicts) as New Centennial Water Supply project (NCWS), under the Public Private Partnership (PPP) scheme. The initial New Centennial Water Source Project, containing both the Laiban and the Kaliwa dam projects, was planned to be developed within the context of the Water Security Legacy (WSL) Roadmap, proposed by the MWSS in 2012-2016 . The construction of the Laiban dam, however faced very strong opposition during 2010, and was postponed following the National Economic and Development Authority (NEDA)’s recommendations to submit the dam projects separately. 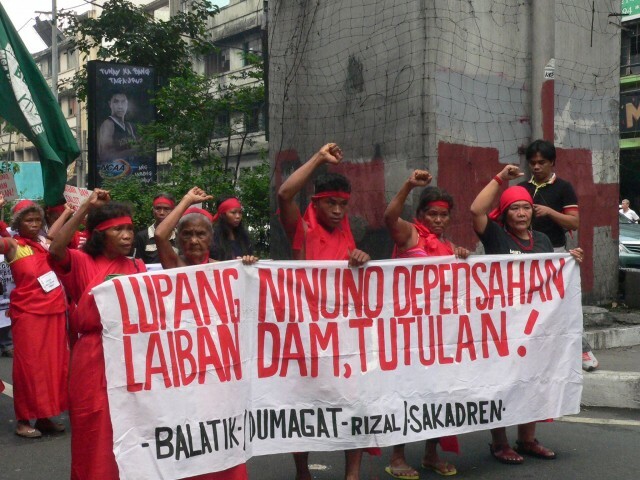 While the Kaliwa Dam is now moving forward, the Laiban dam, currently postponed, remains as a priority of President Aquino’s administration, facing strong resistance . The Laiban dam would be located on ancestral lands of indigenous Dumagat and Remontado. The dam would require the flooding of 28,000ha, on which around 4,000 families live [1;4]. Its construction would thus displace and dispossess around 21,000 people from seven villages in Rizal province and Northern Quezon [4;5]. The indigenous, resisting the project since the 1980s, face constant harassment by the military, telling them to stop protesting . In addition to the social impacts of repression, dispossession, displacement and loss of indigenous culture, there are tremendous environmental impacts, such as the deforestation of the unique Sierra Madre primary forests and associated destruction of biodiversity hotspots, potential increases in water-borne diseases such as Malaria, and large disturbances in the river ecosystems, home to important fish sanctuaries. Moreover, from a political and economic perspective, the project contributes to growing national debt, while fomenting exclusion of poor water users through commodification of water and increasing privatization of water as common resources. All these impacts would follow the dam construction as so-called solution to a water crisis, which is however largely caused by growing corporate water demand of Metro Manila, rather than household demand . 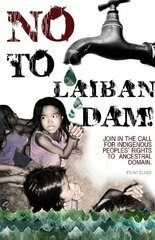 There has been continuous resistance against the dam project for over more than 30 years, and which nowadays it still goes on. 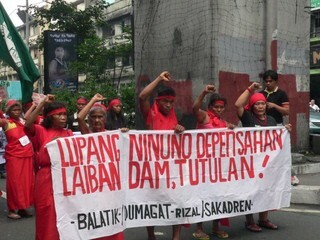 Thanks to the many different mobilizations, ranging from protests marches, over pickets and blockades to national forums on the issue and large civil society organization (CSO) networks that provided an alternative view on the project, the Laiban dam was several times stopped or deferred . It is now already the second generation that actively opposes the project. 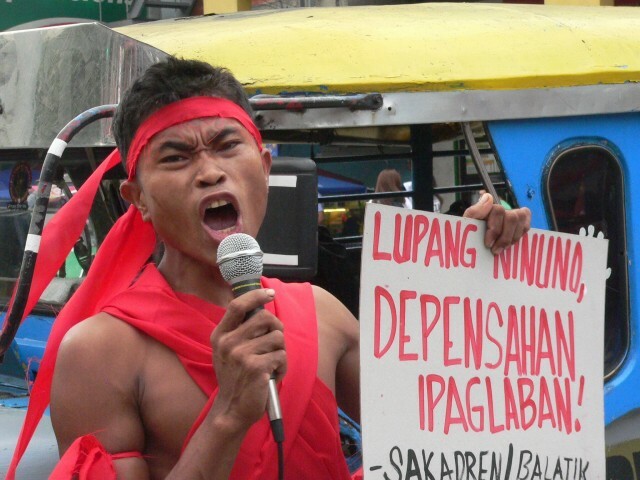 In the words of the young Dumagat secretary of the indigenous organization Balatik: “I see the need to fight because we will lose our life, our livelihood and our culture. We’re doing this for the generations to come”. As stated by another young Dumagat: “The forest is our life. If you remove the forest, then you remove our life. We will be wiped out” . Project Details The Laiban dam would be 113 meter high, having a capacity to supply 1,800 million liters per day (MLD) . Construction costs are estimated to amount to PHP52 billion (around 1.2 billion USD) . The reservoir size would cover 28,000ha; the number of displaced families was recently reported to be 3,708  or 21,000 persons ; earlier reports stated that 4,413 families would be affected . The World Bank supported first feasibility studies during the 1970s. Project design studies during the 1990s were conducted by consultant Electrowatt Engineering. A short term loan over 1 million USD to start with the immediate implementation was granted in 1999 by the Philippine National Bank. In 2001, MWSS entered into Technical Assistance Loan agreements with the Asian Development Bank, which however was later on cancelled on request of MWSS, who instead received funding via two concessionaires. With this funding, in 2006, consultant Daruma started to prepare work for projects bids and tenders. In April 2007, NEDA ICC approved the project with a total cost of PHP 48 million, to be funded under the China Loan, however was later on (February, 2008) instructed to cancel the project. MWSS thus pursued the project through another procedure, the Joint Venture Agreement scheme, via external companies applying for due diligence preparatory. Private company CalEnergy showed first interest, but then withdrew from the project. In September, 2008, SM Bulk Water Company Inc. (subsidiary of San Miguel Corporation) signed a Memorandum of Understanding for the conduct of due diligence preparatory. 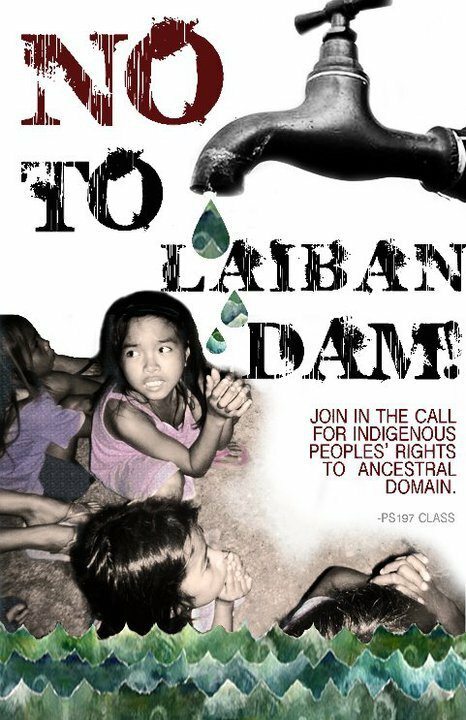 In 2009, a call was released in which companies were invited to submit proposals for the design, financing, construction and operation of the Laiban Dam Project under a Joint Venture Agreement, however the application period expired without interested proponents . In the recent years, the MWSS was expected to award the Laiban dam project to the San Miguel Corporation (SMC) [4;5]. Why? Explain briefly. The affected communities have successfully resisted for over 30 years, which can be seen as a success in environmental justice. However, the dam continues to be on the priority list of Aquino's administration, so it might also be a "not sure".